Your charter can end anywhere between Naples and the South of France. 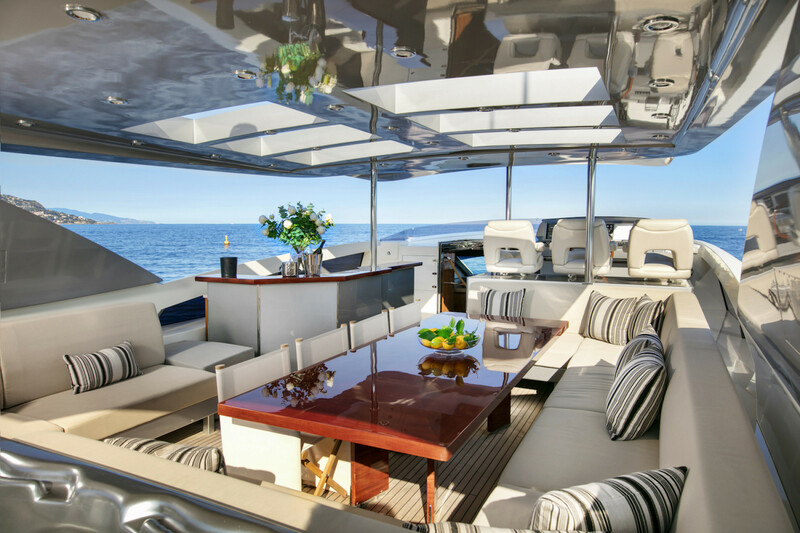 This 37m Couach offers a modern and bright main saloon that features large windows creating a genuine feeling of large spaces with panoramic views. The exterior consists on expansive living areas where guests can enjoy sunny afternoons or a sunset cocktail around the jacuzzi. She offers accommodation up to 8 guests in 4 well-appointed staterooms. With a wide range of water toys, NYOTA is ideal for an exciting cruising around the Mediterranean with family and friends.